Manslu trekking also known as Larke la pass trekking among the trekkers. Manaslu is the eighth highest mountain in the world at 8,163 meters (26,781 ft) above sea level. It is located in the Mansiri Himalayan Range.This range of Mountain is totally located inside the Nepal between border of Gorkha and Manag like a wall so it is known as wall of snow. This gigantic wall of snow torches the sky. The range is west-central part of Nepal of the Nepalese Himalaya. Manaslu was first climbed on May 9, 1956, by Toshio Imanishi and group. The Manaslu mountain is also known as Killer Mountain. There are many peaks and mountain in this region besides Manaslu. It has an amazing landscape. This trekking is perfect for the people who want to do adventure and quite trek in Nepal. In the past, people used to do camping trek. Now the situation has been changed, trekkers can do tea house trekking. Manaslu trekking is an amazing trekking route. trekker will have a unique and extraordinary for a natural experience. the trail has a diversified environment from trekking starting point Arughat to Beshisahar. Arughat is located around 800M elevation where people grow the crops like Maize, rice, wheat, mustard, millet and seasonal fruit like mango, litchi, guava, papaya, orange, lemon, banana and much more fruit. When we go to the higher elevation we get the sub-alpine plant like oak, Rhododendron, apple, Apricot, palm and many Himalayan plant and vegetation. In an upper area like Lho, Samagaun, and Namrung people plant barley and buckwheat. Trekkers have to trek via Bank of the Budhi Gandaki River. the local villages are also mostly located at the near from river. The trail is very peaceful and enjoyable. you would see the totally different landscape in this trek trail. In this region Tibetan type of people lives. It is believed that they have migrated there more than 100 years ago. They are Buddhist people. there are many chorten in the memories of the late people on the trail. Before Samagaun there is Lho Village where there is Gompa. Lho is dominated by a large Gompa. There are 150 buddhist students. From the top of the hill, you can see Mount Manaslu. There are mixes of ethnic groups inhabitants like Brahmins, Newars, Chettri and Tibetan people in this route. Newar, Brahmins, and Chettri live in the lower trail of Manaslu, while Tibetan people live at upper land. Lower land people are mostly Hindu. Hindu celebrate the festival like Dashain, Tihar. While Tibetan celebrate lhosar and New year. Most of the people in this routes do traditional farming and animal pet. Manaslu trekking starts from Arughat Bazzar. 7 Hours driving from Kathmandu via Dhadingbensi. The road is not blacktop. you can even hire private vehicle if you want to your private journey. which is hassle-free. The local bus leaves Kathmandu early in the morning. After you finish the trek, you would be at Beshisahar. From there you get any type of Veichle that goes to Kathmandu on the hourly basis. Manaslu trekking Itinerary is made for 15 days from Kathmandu to Kathmandu. This includes 2 days Drive from Kathmandu and back to Kathmandu. You can make it longer and shorter. We have designed 15 days itinerary carefully for relaxing and comfortable trek. Manaslu trek difficulty, it is Strenuous type of trek. If you are determined yourself that you can do then you are welcome. This Trekking is difficult kind of trek which needs steep climbing and some technical knowledge of walking on the ice as well. It requires the prior trekking experience or good walking experience good physical fitness. It is the trekking above 4500m elevation and needs to walk for up to 7-8 Hours per day. Food, drink, and accommodation in Manaslu trekking? When to do Manaslu trekking? March, May is the second-best season of the year to do trekking: During this time the forest becomes very colorful because of rhododendron and magnolia flowers as well as very less chance of rain. but sometimes if the weather get’s bad you may have some hailstorm and snow. December, January, and February: the sky is clear but the weather is cold and there is a risk of hailstorm and snowfall. May, June: This is Nepal´s hot and pre-monsoon season and it can get very warm indeed. This is still the best time to do this trek. June, July, August, and mid-September: this is Monsoon season and the least popular time to do trekking in Nepal. The risk of leeches, landslides, floods and so on. Mt Mnaslu 8153 Meters mountain and many others tall peak which is very beautiful. 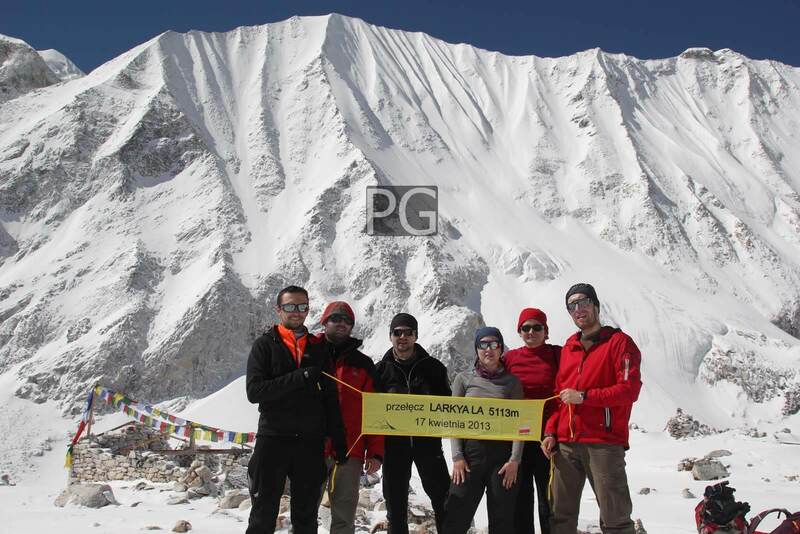 there are some peak among them larke peak is very popular. on the bottom of the larke peak we cross the larke pass. Narrow and beautiful diversified Budhigandaki river valley which is full of different type of forest and when we cross Larke la we will enter into the Marshyandri river valley. This valley is famous where people to Thorong la pass trekking. There you can see a lot of yaks. this yak is free left by local. there is some shelter where in the evening the yaks are collected and the owner milk the yak. the dunk is collect for a fuel. There are many himalayan thar wwe can see. we do sightseeing in Kathmandu. There is a place like Pashupatinath where you can see Hindu culture. Another spot is Kathmandu durbar square, where you can see the history of Nepal. Boudhanath and Swaymbhunath is Buddhist pilgrimage site. we do sightseeing there as well. all this mentioned place are UNESCO World Heritage sites. Today is the first day of our trek. there is local village which we need to go pass through. local cultures and custom you can see while you are walking towards Sotikhola. the trail is today. you don’t need to climb stairs. most of the time you walk along the road. We begin today’s trek by climbing over a rocky ridge to Salleri and then descend to Sirdibas. Now we need to cross the long bridge to reach the Philim. Philim is a large Gurung village. The trail turns north-west towards Ekle Bhatti. The route now enters a steep, uninhabited gorge. At this point, we descend to the grassy land slopes, cross the Budhi Gandaki, then trek along the west bank for a while, then cross to the east bank and then back again. As we continue through the trail the valley widens and we pass through bamboo forests to the Deng Khola. Upon crossing the Khola, we reach the tiny village of Deng. today leaving the Deng village we cross the Budhi Gandaki and climb to Rana at 1910m. The trail then passes through forests, mani walls and Chorten where we turn towards a corner that contours to Ghap. from Ghap the trails enter to the forest. this is the very nice trail. The trail follows the river upstream through a dense forest. After crossing the river at an impressive spot. we climb slowly accent towards Namrung through the Rhodrodendon and walnut forest. Namrung village is a good viewpoint for Siring and Ganesh Himal. We climb steadily and pass through forests and reach Lihi village. In Lihi village there are some chortens and barley terraces. The trail drops and crosses the side valley of Simnang Himal. We need to walk furthermore to get Lho village. There is gompa we go to explore gompa in the evening. We spend our day at Samagaon both for rest and acclimatization. We just do the small hike up to Birendra lake. It is a very nice lake. while we climb we can see the beautiful Samagaun village. there are small monasteries as well. we would also explore this monastery. We slowly descend to the Budhi Gandaki Riverbank, after walking 1 hours we left Manaslu mountain behind us. The Larkya la pass Trail passes several mani walls as the valley begins to widen. We will see some pasture where you can see the yak grazing. Now we can see the forest becomes smaller. We drop off the shelf, cross the Budhi Gandaki on a wooden bridge and climb steeply onto a promontory between two forks of the river. Climbing some more steeps we would reach to Samdo. Overnight in Samdo. Today first we walk for half hour to the Budhi Gandaki river. After crossing the wooden bridge over Budi Gandaki and begin walking upward. Upon crossing two streams and witnessing the Larkya Glacier we go to dharmasala(4450 m). In Dharamsala there are one community lodge we have to spent the night over here. We follow the trail of Annapurna Circuit. There is a road, we need to walk along road mostly. crossing the river several times we will reach Syange. During the descends down we will see a different landscape. Donation and monuments entrance fees. there is a various option that might affect the trekking cost. for example, if you want to have a luxurious hotel, the trip would be expensive. if you want to take a private vehicle to go Arughat and back from Syange the trip cost would be high. tent or teahouse trek you want to do? Tent tea house is expensive while teahouse is cheap. porters, pack animals … or carry your own pack? Want to do ONLY the Manaslu Circuit? … Or add the Annapurna Circuit and/or Tsum Valley as a side trip? Do you want to add extra days for sidetrips? Ganesh Himal Base Camp? Or Manaslu Base Camp? You must take a license holder guide to trek the Manaslu Circuit. If you want to trek independently it is impossible in any reason nowadays according to New policy of Government. We will organize your permits. You need to provide at least 4 passport photographs. You must be at least “group” must have a minimum of 2 trekkers. Difficult part is to travel on a local bus for the 6-9hr bus ride from Kathmandu to Arughat Bazar. It’s easier from Pokhara. Alternatively, a 4WD jeep (6h) may get you there from Kathmandu more quickly but costly. Trekkers must bring warm sleeping bag, if you fill the hotel is dirt then bring your own bed sheet for you. Be careful you might have to QUIT if by bad luck or rushed ascent you suffer altitude sickness (Acute Mountain Sickness or AMS). 195m metal path has been built for the 2017 season at Yaru Bagar. A second is planned for Syar Khola on the Tsum side trail. I just did Manaslu trek with poonhillguide last year. Shreeram the tour leader was simply a kind and very smart person to arrange the trip in Himalaya of Nepal. We had 17 days manaslu trek with 2 Nepalese guide and porter. Guide Name is Surya and porter was Ramesh they were very helpful and coordination person. we often change the itinerary because we were sometimes not good. They managed everything to us what it should had been. We highly recommend him. Thank you max for your valuable review to us. we are looking forward to see you again here in Nepal. I was in Manaslu to trek for 2 weeks. We did trekking with shreeram who was just great. Everything was perfect, food, service and so on. we were just happy to have him as our guide.He managed our entire Nepal trip. We were just 2 people but very demanding. Before we came to Nepal, we had a lot of discussion with him about the trip. He gave us a lot of Information that we need. Thanks to Mr shreeram and his team who just managed this fabulous trip to us. we see you again soon. we had a lot of fun together. We are missing you already. Thank you so much for your great review. I have learned a lot and enjoy with you a lot as being your guide. I Hope we will see you soon here in Nepal for Mustang trek. We booked him for someone recommendation for October 2017. we were there from 6 October to 24 October. We had a sightseeing in Kathmandu which was an amazing experience for the people like us. we were very surprised to see the monuments and history of Nepal. He toured us to Kathmandu Durbar Square, Pashupatinath, Swayambhunath, and Boudhanath for a single day. Next day we went trekking. Shreeram is a very knowledgeable guide. He is a professional post graduate from University. We were 6 members but very slow. he did great to be patient with us. His porter was also very nice guys. they always smile which make us happy. He described the people religion culture in that Manaslu trekking. there were so many things we saw. he booked all hotel in advance so it was not a problem for us. we had a leisure day in samagaun which was very appreciatable parts. he brought us to the Lake and monastery. Even in Samdo, we went hiking for 2-3 Hours to be fit enough for the pass. we passed the Larke la very easily. we arrived in Kathmandu very safely. Shreeram invited us to have a dinner with his family which was so so cool.